Your basement is a potential gold mine for storage. It's spacious, easily accessible and probably sitting there practically empty. 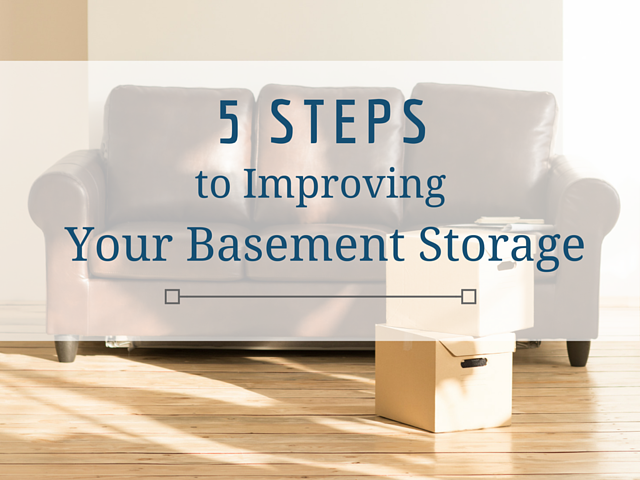 Even if your basement is filled with stuff, you can follow a simple five-step approach that creates custom basement storage that's functional for your family. Before you start hanging lights or choose a wall organization system, take time to prioritize safety. Clear any clutter off the steps, and remove any items that block the doorways. You need to ensure that you can easily access your basement space or get out in a hurry if there's an emergency. Even the best basement organization will fall short of your expectations and needs if the space is not properly lit. You don't want to fall down the steps or bump over a cabinet as you search for your spare flashlight or birthday cake candles. Ideally, the lighting in your basement should illuminate every corner of the space. Consider natural light options first. Clean any windows, remove bushes or other landscaping that blocks the light's entry from outside and move large storage shelves from in front of the windows. Artificial lighting options are your next move. Offset several common basement problems with creative lighting solutions. Use indirect light to make low basement ceilings appear higher than they actually are. Recessed lights expand the size of your basement and provide a bright light. Install floor lamps for flexible and targeted lighting. Surface mounted spotlights and directional lights highlight architectural features and shine extra light on areas you frequently access. Track lighting creates a finished look in your basement as it illuminates the space. Mirrors mounted to the walls or ceiling reflect light and make the basement brighter. Occupancy sensors turn on automatically as you walk down the basement stairs, and they turn off when you leave the space, making your basement safer. Is your basement dry, wet, clean or musty? Is it prone to flooding? What's the air quality and temperature like? Can critters access the space? The type of space you have determines which storage options you install and what you can successfully store in your basement. This information also ensures your basement storage space is protective rather than damaging for the items you own. Apply waterproof material on the walls and install a sump pump on the floor to reduce the risk of flooding. Use a dehumidifier can remove excess moisture in the air. Use a fan to reduce excess heat or improve circulation. Install new windows and seal any cracks to reduce critter access. Holiday decorations, including Christmas ornaments, Halloween costumes and birthday party supplies. Kitchen items you use sometimes but not often. Think roasting pans, fine china and large pots. Collectibles not currently on display in your home. In your basement, your shot glass, artwork or figurine collection stays clean and safe until you're ready to display it. Project bins that sort craft items, hobby supplies and other creative items. Seasonal items, including supplies you use for outdoor entertaining, summer bed linens and your snowman tablecloth and napkin set. Travel items like your suitcase set and duffel, garment and gym bags. Home improvement supplies, such as painting materials, extra light bulbs and caulk. Excess furniture you don't currently need but wish to keep. Your card table, extra chairs and grandma's rocking chair are suggestions. Toys. If you rotate toys in your child's playroom or have a large seasonal toy collection, sort the extras in the basement where they're out of sight until you're ready to put them back into the play rotation. Certain items should not be stored in your basement. 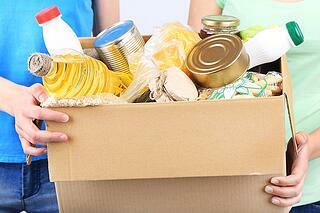 The environment could potentially warp wood, destroy photographs, books and artwork or spoil food. Consider storing these perishable items in a different location unless they are secured inside a waterproof and climate controlled bin. Also, don't put anything in your basement that you use regularly. You'll soon get tired running downstairs for the item or you'll forget you have it and spend money to buy a second one you don't really need. Because the options are overwhelming, consider hiring a professional designer. Maximize the space and install custom cabinets that fit perfectly in your garage, no matter what its shape or size. A professional will also install lighting and storage options quickly with minimal stress to you, and you can rest assured that your cabinets, shelving and racks are attached security to the wall or ceiling. Your basement can be organized, neat and functional when you take this 5-step approach. Contact Boston Garage for more helpful tips and for personalized assistance. We are home organization specialists with a variety of custom basement storage solutions that fit your budget and needs. Let us help you turn your basement into a space you will enjoy and use for years to come.